So the NBA Finals ended a short while ago, and Lebron James and the Miami Heat won their second straight title. This has been a cause of concern for many individuals. A webcomic about young kids and their pets is a strange place for an article about sports psychology, but the author, yours truly, spends many hours driving for his day job, listening to sports radio stations. The talk on a lot of these shows is why so many people hate LeBron. James has been in the public spotlight since he was in high school. Scouts and ESPN were saying this kid was going to be great... the next big thing. They even started calling him, because of his last name, King James. Imagine that. A kid out of high school being called a King. And that's been his problem. Fans' dislike of LeBron James doesn't stem so much from some of the annoying things he has done on or off the court... from not shaking the hands of the winning team, from his spoiled brat tactics at the Olympics, from the debacle of "The Decision" and the arrogant bravura and celebration of joining the Miami Heat or even from his flopping in the NBA Eastern Conference Finals. It comes from the fact that LeBron has been called the greatest ever since he came into the NBA. For the last five or six years, Charles Barkley on TNT has been saying that "LeBron is the best player on the planet." Sport analysis have been saying this for years... even though James clearly wasn't the best player in the league for a number of seasons. And this has pissed off a lot of fans. There is a public perception backlash to the media onslaught of the marketing machine surrounding Lebron James. The guy is physically gifted, to be sure, and he wants to get better at his craft. Lebron seems like a nice guy especially in comparison to other athletes. But nobody likes being forced fed how great someone is over and over again. That's how I feel anyway. 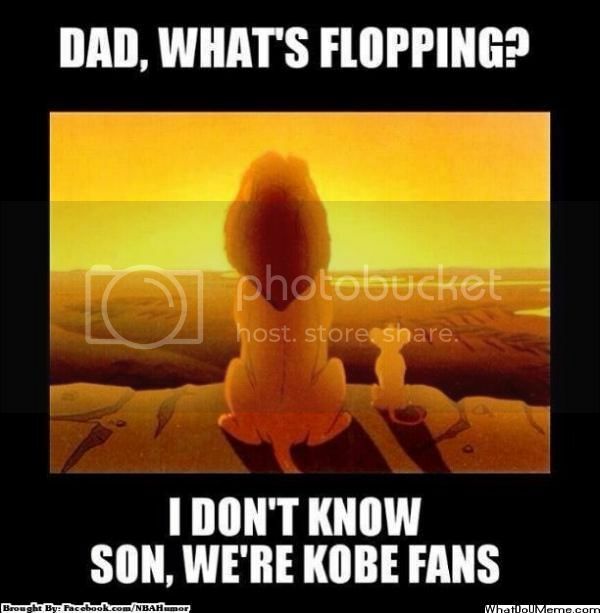 Or maybe I'm just a Kobe fan.